Nigerian Ports Authority made 118billion in the first quarter of the year – Royal Times of Nigeria. 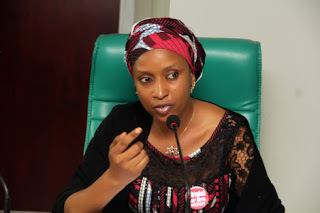 The Managing Director of the Nigerian Ports Authority, Ms Hadiza Bala Usman has disclosed that the agency enjoyed a productive year and is set to exceed its revenue target. She made this known at the merit service award in Lagos where she also revealed that the agency raked in 118billion in the first quarter of the year. She said:“We are grateful that we have attained most of the goals that we set for ourselves. Now, right from the outset, management was conscious of the fact that none of these would be attainable without the understanding and cooperation of the workforce. This is the main reason why we have maintained an open door policy which has made it possible for all of us rub minds and agree on the best way to achieve the very important task of repositioning port operations in Nigeria for better efficiency. “On behalf of management, I want to thank you, our colleagues for keeping faith with us. While we are not at that place where we hope to be, we certainly are not where we started from.